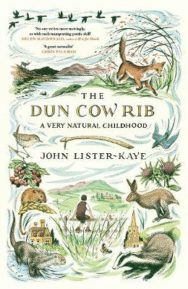 In August, at the 2017 Edinburgh International Book Festival, Scotland’s greatest living nature writer launched his memoir. Even in 1969, ten years after he wrote Ring of Bright Water (Longmans, 1960), Lister-Kaye’s mentor Gavin Maxwell would never have dreamed of writing about how the psychodramas of his own repressed homosexuality found expression in a deep love of otters. Back then, nature writing was a fusion of enchanted lyricism and descriptive accuracy, nothing at all to do with the writer’s psyche. Even the little Maxwell did reveal about himself in print was something he always regretted. Why? ‘Because, in a sense, he was exposing himself as a recluse. And yet that’s just what he was. In both his next books Maxwell would complain bitterly about people who just turned up at Sandaig without prior notification.’ It’s a small point, but a telling one. Whatever other qualities British nature writing used to have four decades ago, openness and self-disclosure were not among them. Now look at how much has changed. On its cover Lister-Kaye’s book is garlanded with praise. ‘No-one writes more movingly, or with such transporting skill,’ says Helen MacDonald, whose H is for Hawk (Vintage, 2014) is as much about overcoming grief as it is about training goshawks. ‘A great naturalist,’ adds Chris Packham, who in his own childhood memoir Fingers in the Sparkle Jar, revealed last year that he loved his dogs more than any other humans, and that he was suicidal when any of them died. This is a man who keeps his dog’s body in his fridge, who dedicates his book to them: while Maxwell regretted his limited emotional honesty about his love for his pet otters, Packham feels no such compunctions. That invisible barrier between writing about the inner and the outer world has vanished. 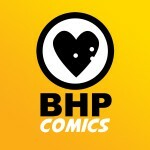 The latest expressions of that new emotional openness are many and various. Among writers based in Scotland, Sara Maitland, Kathleen Jamie, Linda Cracknell and Esther Woolfson certainly have a place on any such list. Special mention on it must go to the Orkney Polar Bears, a group of wild swimmers who meet weekly to take the plunge in the cold seas off the archipelago. These aren’t just wild swimmers; they are wildly literate ones too. 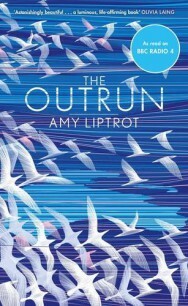 For proof, read – if you still haven’t – the 2016 Wainwright Prize-winning The Outrun (Canongate, 2016) by Amy Liptrot, which charts how getting closer to the natural world on Orkney helped her recover from a spiral of addiction into which she had fallen while in London. On Papa Westray, she began writing a column for the Caught by the River website, which since 2007 has been one of the leading forums for new British nature writing, and she then reworked some of those early columns – on wild swimming, listening for corncrakes, watching meteor showers – into her brilliantly written book about finding her own nature cure. A quote from Liptrot – ‘Attentive, astute and beautiful. 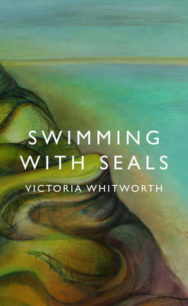 It expanded my mind and heart’ – adorns the cover of her fellow Orkney Polar Bear Victoria Whitworth’s Swimming with Seals (Head of Zeus, 2017). 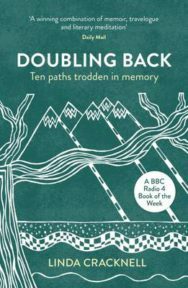 For Whitworth, wild swimming was what brought joy (through the release of what she calls ‘endolphins’) and a sense of being without boundaries to a life that had seemed to be narrowing into an unhappy marriage to a former monk. The new, emotionally open – and largely female – school of nature writing is spreading fast. Almost, I’m tempted to say, like a ring of bright water. This article originally appeared in the Autumn/Winter print edition of New Books Scotland produced in partnership by Publishing Scotland and Creative Scotland.